Raymond Earl Sanders, 81, of Kokomo, Indiana, passed away on his birthday, October 28, 2018 at St. Vincent Hospital in Kokomo. He was born in Youngstown, Ohio to the late Earl and Jessie Sanders. Raymond is survived by his loving wife of 59 years, Janice Sanders. They were married June 20th, 1959. 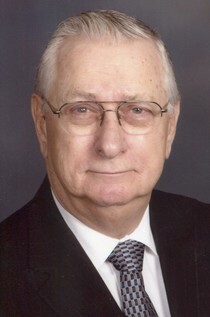 Raymond graduated high school from Hubbard High School in 1956, then went on to work for Wean United for over 30 years. He spent most of his life in Hubbard, Ohio, where he raised his family. He served as an Elder at Corner House Christian Church for many years. Raymond was a family man; his children, grandchildren, and his family were his life. Along with his wife Janice, he is survived by his children, Jerry Sanders (Lisa), Carrie Allen (Steve) and Earl Raymond Sanders (Cindi); grandchildren, Joel Sanders, Jared Sanders, Hannah Rhoades (Jon), Brooke Miller (Aaron), Brett Cooley (Bruce), Breanna McKercher (Grant), Brice Piotrowski (Andrew), Emily Sanders, David Sanders and Jonathan Sanders; five great- grandsons, Mark, William, Peter Cooley and Lex and Jameson Miller; and two nieces, Paula Allbeck and Jeannette Meredith. Raymond was preceded in death by his parents and siblings, Jessie Vaughn, Dorothy Taggart, and Eileen Ermert. In Kokomo, visitation will be from 4-6 p.m. on Thursday, November 1, 2018, at Chapel Hill Christian Church, 2600 W. Alto Rd., Kokomo, IN 46902, with Pastor Steve Allen officiating. Funeral services will follow at 6 p.m. on Thursday at the church. In Hubbard, visitation will take place from 11 a.m. to 12 p.m. on Saturday, November 3, 2018, at Corner House Christian Church, 6954 Chestnut Ridge Road, Hubbard, Ohio 44425, with Pastors David Coxson and Ray Sanders officiating. A memorial service will follow at 12 p.m. on Saturday at the church. Burial will take place in Corner House Cemetery in Hubbard. In lieu of flowers, please make donations to Miracle League of Northeast Ohio. Messages of condolence may be left online at www.shirleyandstout.com. Shirley & Stout Funeral Home & Crematory, Kokomo, has been entrusted with arrangements.